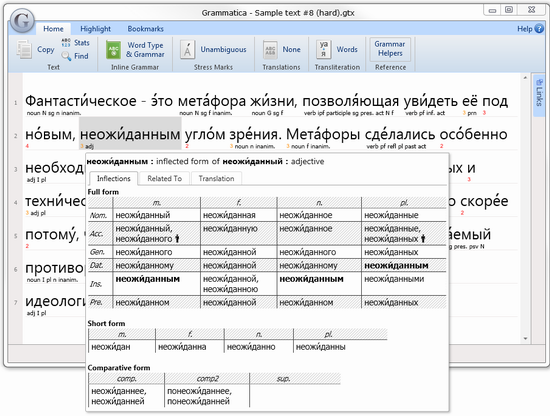 Introducing Grammatica – a reference of the Russian language built into a text editor. It instantly displays stress marks, inflections, translations and much more. 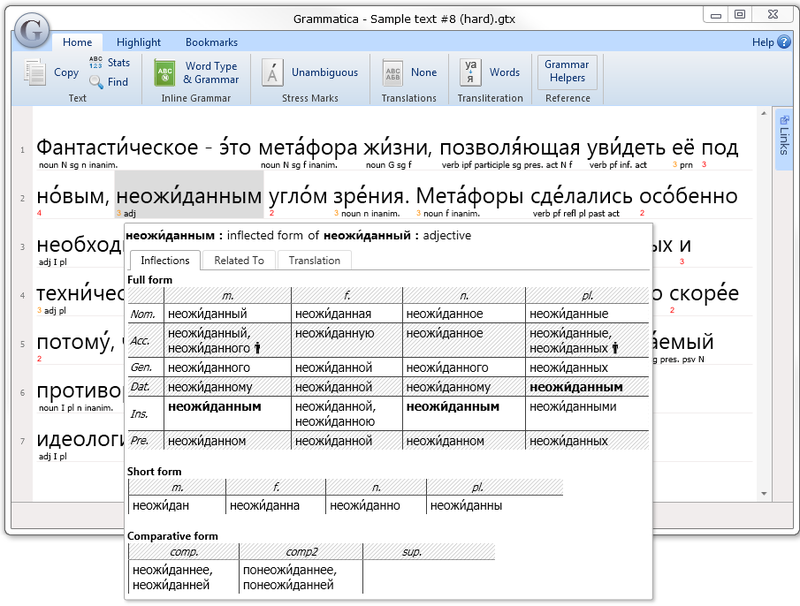 If you are considering visiting Russia and you want to improve your knowledge of Russian, you might want to take a look at Grammatica – a software application that is designed to make reading Russian texts a more efficient method of learning Russian. Grammatica includes several different tools that help you improve your knowledge of Russian grammar, pronunciation and expand your vocabulary.